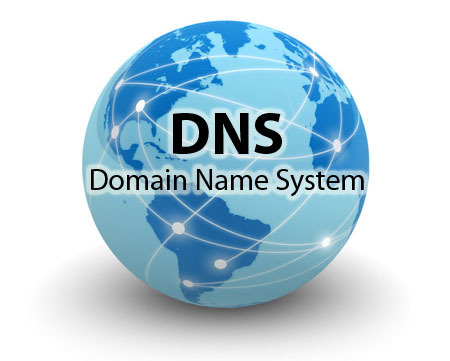 When the name servers or individual records in a DNS zone are modified, it can take several hours for all the computer systems around the world to recognise these changes. This time period is known as DNS propagation, and until this process is complete, a domain and any associated web sites or email accounts will not work consistently. This delay occurs for a number of reason and is not completely in our control. In an effort to speed up the Internet browsing experience for their customers, each Internet Server Provider (ISP) caches (stores) DNS records. This will mean that after a customer of a particular ISP views your website or sends you an email, the ISP keeps a record of what name servers your domain name were delegated to and what zone records existed on those name servers. When a new customer from the same ISP attempts to view your website or email you, the ISP will find the cached record that it saved locally on their system instead of looking up the records on the Internet. This saves time and provides the user a much faster internet browsing experience. The problem is that if you make a change to the name servers or zone records used with your domain name, an ISP may not notice these changes until a few hours later. In the time between your changes taking place and the ISP updating their servers, the ISPs customers will continue to follow the old cached copy of your records. This delay and use of cached records can cause some visitors to see your old website while others see your new website. It can also mean that some emails are sent to your old email server while others are sent to your new server. As soon as the cache at all the ISPs servers are updated, all records fall back into sync and all visitors are taken to the same place. The TTL is the time period that the zone file tells other servers to cache zone records for. By setting the TTL to a shorter time period, users can shorten the propagation time for their DNS changes to be noticeable. However, shortening the TTL increases the number of requests sent to the DNS server and increases load and processing time. One technique to reduce the time it takes for changes to propagate is to reduce the TTL value in the current zone prior to making changes, however the change in the TTL on the record itself will take the length of time specified in original TTL value to propagate before propagation period is lowered for further changes. Also some ISPs configure their resolvers to ignore the TTL value specified in the record altogether and cache the record for a length of time that they specify instead. Some resolvers are configured to cache records for up to 72 hours, although most are configured for less. Ultimately, time resolves propagation issues. Name server and DNS zone changes changes can typically take 12 to 24 hours to take effect, but they are known to take as long as 48 hours to go into full effect. Nothing can be done to speed the propagation process; however, it is recommended that you plan for propagation ahead of time to minimize the effects of down time. When Is Propagation is Complete? WHOIS, ping and traceroute tests cannot indicate when the propagation process is complete. The only way to be sure is to wait the maximum time which would be up to 48 hours from the time that the DNS record was updated. Name server changes usually take 24 to 48 hours to fully start working. This period, called propagation, is the projected length of time it takes for root name servers and cache records across the entire web to be updated with your website’s DNS information. Because of propagation, not all visitors will be directed to your new name servers on your new hosting account; some visitors will continue to be directed to your old name servers on your old hosting account until propagation is complete. How quickly visitors are directed to the new name servers depends on their physical location, internet service provider and some luck; it is not something AUSWEB has control over. Once propagation is complete, your site will appear on our server and your email will be fully functional. There is no definitive way to tell when propagation is complete. During the first 48 hours, even if you are able to see your site on the new server, your next door neighbour might still be seeing the site on the old server. Although your new name servers or DNS zone changes may have already propagated, individual computer may still kept a copy of, or cached, the previous records. Additionally, most computers cache DNS records which can cause the computer to refer the old IP address for up to 48 hours until the next time it updates. 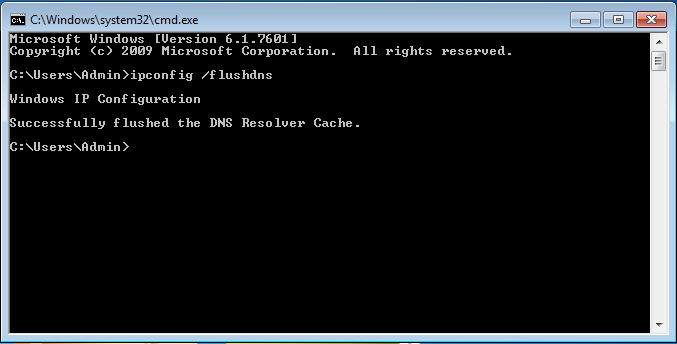 If your computer is caching the DNS, it may be possible to flush the DNS on your computer so that it looks up the IP address for the domain again. Browser caching has absolutely nothing to do with DNS; however, this can still cause you to see your old page content even after changing your DNS. Browsers will cache a copy of the page content previously viewed by the browser. You can clear your cache to get a fresh copy from the server.